The sky blossoms fell, each one swirling to its own individual path, shaped and distorted by the world’s breath. At first each one looked the same, a tiny white dot, water turned solid. But as one looked closer it became more unique, and then a beautiful crystal lattice. It was unbelievable that no two were the same, each one formed by apparently random forces in the bleached wool-like clouds above. Yet as one focused more and more on the individual it seemed to lose its purpose. It became nothing more than a short-lived pretty object. Many together combined, in a panorama, and they could blinker and blind any within their swirling mist. Then with the cruel, cold wind of the Ice Bridge, it became a skin piercing blizzard – a death bringer. The minute crystal palaces became biting shurikens. They tore at Magen’s face, and damped his clothes – freezing his flesh. They sapped away his warmth. He crouched beneath a splintered ice shelf. He clawed at his white cloak attempting to wrap it tighter. It was futile, it hardly mattered that he wore anything. The world made him naked. He bowed his head in submission, his hood pulled low, guarding his eyes against the stinging snow. He remained still for some time, almost formless looking with the blinding blizzard. One might have thought him dead or even just another deceiving ice sculpture in the frigid, unforgiving snowscape. The Ice Bridge was so empty and lonely one could be forgiven for thinking that an oddly shaped lump of snow was a person. It was a harsh place. There was no soil, nothing grew there, and nothing lived there, there was nothing to eat. It only existed in the winter when the planet Seatus drifted away from its master – Solus, the system’s lone sun. Then the Ice Bridge connected the continent of North Terranch to a land of ice that the Terranchi called simply, in their own language, ‘North Ice-Isle’. Few attempted the crossing. To the southerners, the land of the north was nothing but an unattractive desolate waste. The more superstitious believed an advanced and ancient civilisation hid there. No-one had ever found evidence, or at least, returned with it. So, the Men of the North remained myth. From the latter Magen had come – through hardship, and starvation. Through snow deep enough to swallow all but the toughest of men and women. Surely, he had survived only by great strength of will – or perhaps by the miraculous? Maybe it was just luck, but surely, luck is only an illusion. A way to describe why one in a million chances, should happen to be the one, just at the right time and place. So many times he’d been blown off course or lost his bearings; the days spent backtracking had stressed his supplies. Then about a week ago – he could no longer be sure – he had lost his pack. His food, tent and power packs now lay at the bottom of one of the many ever shifting crevasses. He was dying now, he was sure of it. His once brilliant blue eyes, sunken now, almost grey – dead, lifeless. His long reddish brown hair, hung lank and limp. Once well trained muscle was now gnawed to bone. Despair and death closed in on him, like vultures of the desert. He could not see that this land of ice, seemingly forsaken by Cru’athor – creator of the world – would ever end. Magen was outcast; despised, feared, ridiculed and unwanted. He had no place in a society of telepaths – such as the ‘mystic’ North Ice-Islanders were. His mind was firmly shackled within itself. Cursed from birth by his creator – so he considered. It was only by his parent’s love – and deceit, he had not been discovered earlier. They had done their best for him, they had taught him much. They had taught him how to shield his mind from telepaths. This was how the society maintained individuality. Not all thoughts were shared. They concealed his lack of ability, but in any society no secret lasts forever – more so in a society of telepaths. How inhuman and cruel to send one of their own into the cold. Friends from childhood had turned on him. His parents had to feign disgust – which must have been terrible for them. How hard it was for them. How reviled for the bearing of an abomination – a genetic regression. In any other family, a non-telepath such as Magen would simply have been ignored and hidden from public view. Magen’s father though, was one of the Oisla, leaders of the North Ice-Islanders. He was obligated to follow the ancient traditions that had ruled the North Ice-Islanders these past millennia. Magen despised these traditions, traditions that kept time frozen for the long lived Northerners. He hated those hypocrites. They claimed to be a just, forgiving, accommodating, almost perfect society. Now the wool had been pulled from his eyes by those same hypocrites. 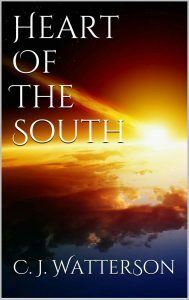 They were no better than the Seatons of the south, over whom they presumed superiority. They were no more perfect, and they were no less human in their failings. Yet to the Seatons, they were an ideological aspiration. But the Seatons did not know the Northerners; all they knew of them were myths, legends and old wives’ tales. It was to the Seatons Magen had set out – been forced out. In the pain of his leaving, one thing stood out. The sword. An old man, unkempt, with a ridiculously long beard had approached him. He had been flustered, as if he had almost forgotten some event of monumental importance. Breathlessly, he had handed him the sword. He said not a word, except, “Cru’athor guide your path, boy”. Absurd and foolish – the man had made Magen feel so important in a moment where he had felt like nothing. The old man was probably losing it. Now he hated this sword. It seemed a joke, something his parents had arranged to make him feel better, but it pointless. So much had been taken away – there could be no comfort. For the son of an Oisla, knowing how to use a sword was vitally important. A duel was the traditional way of settling a dispute between the Oisla, but no blood was to be drawn. The duel was more about ceremony and style, than actually causing injury to the other combatant. The dispute was resolved by showing greater expertise, and disarming your opponent. The whole thing was more an elaborate dance than a violent combat – which made it much more palatable to the North Ice-Islanders. Few could best Magen. He had loved the grace of the sword and lovingly indulged this pasttime. He had studied many styles, even the more violent, more brutally practical Seaton ones, much to his father’s disapproval. A gun would have been a more practical gift – but the North Ice Islanders had rejected such things long ago. Oh, they still had the knowledge and ways of manufacturing such things, but they were hidden and forbidden to the Eisla – and Magen was not even Eisla, he was outcast. Guns and bows however, were simply for killing, which the traditions spoke against. And no matter Magen’s skill with a sword, he still could not stop a gun with one – and the Seatons used guns, were violent and fought wars. These thoughts brought back the anger and hate which had fuelled him until now. Now it spurred him again. He would prove he was no mere, weak genetic regression. He would conquer the Ice Bridge. He would reach the forest-like cities of the Terranchi and he would not be insignificant. No! The blizzard slackened, and Magen determined it was time to move on. Then, inflamed by his pride, hate, his desire to prove himself, and a rather fanciful belief he was worth something, he stumbled to his feet, and began to walk. Shakily he placed one foot before the other – pitching his will once again against the elements, and the world, which seemed to spurn him. He staggered on, sturdy in his resolve for many hours. Then his spirit ebbed again, and there was no ridge of shelter. He began to slow and his steps faltered and became erratic. And that disease which is not easily shaken – despair, was catching up as he slowed. Its dark clammy hand closed on the fire of Magen’s rage, which began to splutter as it was suffocated. Now, he neared the end of the Ice Bridge. Had he looked up to the horizon, he would have seen the mighty trees of North Terranch. Those trees that stood un-yielding, a fortress of life against the splintering winds of the Ice Bridge. The Seatons were known to love the trees, a remnant of some long dead belief, and they let them grow wild and old. Magen had been told to look for the trees, as a sign he had come to the end of his journey. He did not see the hope before him, which may have salved his ailment. Memories billowed up before him like mirages in a desert – not the poisonous ones of recent events, but the sweet honey-like ones of the past. Memories of all that was good; of his home, his parents love, and his friends. The splendorous cities, like ice or snowflakes, but warmer – intricate, crystalline, and beautiful beyond all measure to Magen. He could remember the scent laden air of his homeland, clear fresh and free; for the scent of Osant’s ice blue flowers, opened the airways. Osant, the only plant that grew wild in those frozen wastes. Oh! How he did miss that sweet air. Here he fought for each and every breath in the fast flowing wind. Then there was the singing of his race, inaudible to the ear, but heard always in the mind. In reality, it was merely the chatter of thousands of telepaths. To one ungifted, it seemed like a wistful song – with every emotion in its lyrics. In that respect, it was true. Magen had heard it all his life, until he had been taught to block his mind – to hide his shame. The regrets of a life lost forever, opened the wound of despair, and soon illness flowed back. His feet became leaden, almost immovable – and his shoulders, like two colossal anvils bearing him down. He stumbled, snow lapped around him. Briefly, he tried to stand, but he could not raise himself. He could go no further, his fire dead, the embers spent… He knelt, slumped, defeated, the darkness drawing near. He closed his eyes, as if to shut out the uncaring world, the tears of his sorrow seeped out. “Hey! Look lads, what’s this… a kid, all lost and alone,” it sneered, “Maybe we can show this poor child his way to the fancy dress party…” the voice guffawed in Terranchi Seaton, raucous laughter of others followed. He referred to Magen’s clothes, which of course, had not been in fashion for some thousands of years in Seaton society. Magen lifted his head sluggishly and opened his eyes again. With a blank, almost disconnected look, he took in his now altered surroundings. His mind was slow to translate what the Seaton said. A rather grubby looking, unshaven man stood not more than a few paces away. How had he not heard his approach, had he been asleep, unconscious? Perhaps he had just been so disconnected with the world he had not heard. Further away, a dozen men encircled him; they looked as shabby as the first. They wore heavy fur coats, and had every appearance that they were living in the wild. It seemed quite menacing that they had taken this encircling position, almost like a slavering pack of wolves. Magen realised that these men were not looking to help him. They were outcasts as Magen was, but they had been cast out for a very different reason. They were criminals… highwaymen. “What is it you want?” Magen slurred, too exhausted to speak coherently. The effort of forming the unnatural Seaton words was almost insurmountable. “Oh – not much…” The first man said; he was the leader of the band, “Our price is not prohibitive… Only everything you have,” he let a sly grin split across his face. With a slight wrist motion, the men began to close in on Magen, brandishing a variety of short blades. “I have nothing to give – all I have is my life, and the clothes I wear,” Magen responded. It seemed the sluggishness was abating slightly. “That will do nicely,” The Gang’s leader smirked. Magen gathered all that he had left of his strength. He drew his sword with painful slowness. Gradually the tip dragged through the air, and settled, pointing at the leader. “You might find it costs dear – I have not come all this way to be stopped by you…” Magen said grimly. Yes, the world could take him; he could not defeat the climate. But these men, who barely deserved that name, that would kill simply for fun – he would not let them take him; at least not easily. Magen felt a rage build up again, and the despair, muted by hope. He felt a strange new strength coming to him. “Now, now…” the leader said in a mocking tone, holding his hands out in front of him as if in submission, “No need for violence.” This brought on another chorus of laughter. They knew he was weak, he couldn’t even stand and that he was easy pickings. They knew that he was one and they were… well actually, most of them couldn’t count past five, but they knew they were more. The robber chief walked casually up to Magen and his knife flicked out, he tapped the sword away nonchalantly and held his dagger under Magen’s chin. Magen stood up wordlessly, the chief’s dagger rose with him. As did Magen’s sword, hanging limp in his hand. Fury burned in his eyes, and doubt entered the robber chief. Magen swayed. They stood like this for a few moments. The bandit leader relaxed. Suddenly, with startling speed for one so worn, Magen’s hand caught hold of the thief’s arm, twisting it deftly, incapacitating him. Then in routine-like motion, he ran his sword into the chief, it slid in smoothly without sound. He died, and fell as Magen released him. Magen glared at the faces of the men surrounding him. They stood petrified with shock; it had been so fast – and so unforgiving. The shock gave way to revenge lust. Magen smiled grimly, his weapon was much superior to their puny knives. The smile contorted into a frown as he realised his error. He was outnumbered; he could not fight off all the bandits at once. He was just one man. A dagger came hurtling through the air, expertly propelled. Magen’s second error was realised. Some daggers, it appeared, had quite good range, not limited by the length of the blade. Magen fought with death, he struggled against the clouds of darkness stealing over him. His breath was short and rapid now. He could not let it end here; he had suffered too much already to give in now. He looked to the sky, it was clear now, a deep aquamarine, the storm had past. He was so close, so close to a new life. He wrenched the dagger out and he stared at it for a moment, his breath stabilising. Then he flung it with all his might at the man who had thrown it. It found its mark and bit vengefully into the man’s left shoulder. He howled in agony. “I – Will – Not – Submit!” Magen roared to the world in general in North Ice Islandish – a language alien, and now terrifying to the unsettled bandits. He rose again, and did not flinch. The bandits now fearing the blade – paused. Such people are not generally brave – it doesn’t pay. They rely more on the element of surprise, and their victim being weak and intimidated. One of them, pushing up the bar for bandit bravery, rushed Magen, thrusting his dagger. Magen stepped neatly to the side. The sword flicked out its remorseless tongue, amputating the attacker’s dagger hand. Then his blade curved back, slicing through the bandit’s midriff. The bandit fell. Magen’s head throbbed from his rushing blood; he could not keep up this performance. His only hope was that the bandits would give up. Everything seemed to be growing darker again, his eyes glazed. A second dagger struck him in the back. He arched in pain, staggered a few steps and fell forward; dimly aware the remaining men were fleeing. But Magen continued to fall; he plunged out of the cold and into the darkness. A Seaton Guard scout patrol lay flat on the crest of a nearby snow drift, watching the scene as it unfolded. They numbered ten. The Seatons were, in general, a militaristic race, obsessed with security and defence. Not that they were paranoid, they just liked to be prepared for the worst. The Seaton Guard were a body that acted as police, peace-keepers and defenders in time of war. The idea was to create a soldier that acted more like police than police that acted like soldiers. In theory, force was used only when absolutely necessary. In battle, the necessity was greater, but the judgement exercised the same. More importantly, the Seaton Guard would not constantly warmonger, as the peace times would be more attractive, with considerably less chance of premature death. The man in white had just initiated the fight, which the scouts could all see was unavoidable. “Hey Sarge! Should we go down there and help him? He’s kind of outnumbered and that’s not fair…” a huge ox-like man nicknamed ‘Meat’ asked. He was called ‘Meat’, simply because that’s what his enemies usually became. Not that he ate them or anything; meat in the sense that they were dead – as meat is usually expected to be. He was ever looking for a fight. The Es’stons, whom they were at war with, had been keeping quiet for months now, so he was eager to stay in practise. “No. The man in white started it, so I don’t think we can take his side. We might round up those bandits later – you’ll get your chance,” Sarge answered in his calm commanding voice. He wasn’t sure he really wanted to handle the paperwork for this one. Bandits could be shot on sight, but if he had to bring this fellow in white back, well that would be – awkward. “But Sarge…” the huge man pleaded. He dwarfed Sarge with his sheer bulk, he could easily have crushed him, probably with one hand, but he respected the man’s leadership. It was not the ‘done’ thing to waste effective leaders. Fortunately for Sarge – he had worked hard on his leadership skills. “No,” Sarge said bluntly. He often found it odd that Meat should prefer to take the side of the under-dog. Several of the squad gasped as the man in white took a dagger to the stomach. “We have to help him now, it’s my duty as a doctor if not as a soldier,” the doctor of the squad said authoritatively. She was nicknamed ‘Dots’. The reasons for this were obscure, even to the squad. It may have been because she was freckled, or her name was Dorothy, or alternatively, simply because Doc and Dots have two letters in common. “What?” Sarge uttered; aghast that his authority was being undermined. “I could take a few off from here, cut down their numbers, y’ know,” the squad sniper told Dots. He was called Snips like as in scissors, hedge trimmers and such. He was a tall, lean greasy haired man, almost criminal looking – of the cunning and calculating kind. The squad appeared to be ignoring Sarge; they were all creeping forward slowly, camouflaged by their chameleonic armour. Dots rebuked Snips for offering to give her more work. Sarge gave up. “All right, let’s go help. We’ll sneak up on them so they don’t get a chance to run away,” in being a leader, it was almost as important to look like you were in control – as actually being in control. The man in white took a second dagger, in the back. Snips took it upon himself to reap immediate revenge. He shot one in the head with his plasma rifle. The rest of the bandits broke and ran. The man in white flopped to the ground. Instantly the squad took up firing positions at Sarge’s orders. The whine of accelerating plasma echoed across the empty landscape. Their plasma blasters made the air simmer and blister as bolts of dense plasma found homes, mostly in the bodies of the bandits, incinerating them or punching right through. Still a few managed to escape the hail of fire, running out of range. Doc Dots was already kneeling beside the man in white, she looked confused. The rest of the squad joined her. “What’s wrong?! Get to work!” Sarge demanded. “I’m sorry, it’s just… I’m sure he should be dead or dying right now; but he appears quite stable,” Dots said with an air of puzzlement. She commenced to treat Magen, removing the dagger and sealing the wounds with her laser scalpel. Wordlessly the squad fashioned a stretcher from the man’s cloak. “He’s not Terranchi,” Sarge declared, “Nor is he Jahiran, Solaran or Kellsati. He could be from Temini, I’ve never been there, but I doubt a cloak would be suitable for the tropical climate. It’s entirely possible he isn’t even Seaton.” Sarge had visions of the tower of paper this would create, maybe even official enquiries, he shuddered. “How can you tell?” Snips asked as they headed in the direction of Gahon. “Yeah, there’s a great deal of social events held on the Ice Bridge… It’s the weather that attracts the party goers,” Sarge replied sarcastically. “Maybe he’s an Es’ston?” Meat said in his usual ponderous manner. This thought seemed to excite Meat; where there was one Es’ston, there were bound to be more. “What’s… fizy… fizylogcly mean?” Meat asked. “He couldn’t be…” Sarge almost suggested. “He came from the direction of the Ice Bridge – why would someone be out there, unless they were hiding…” Sarge attempted to engage his meagre detective skills. “Let’s get him back to base. Probably the best thing to do, it won’t matter who he is, if he’s dead.” Dots decided sensibly. The squad lifted the makeshift stretcher as Snips began to embark on the arduous task of explaining the new word to Meat. The wind began to pick up again and the crystal palaces began to fall thicker. Sarge ordered his squad to shield the wounded man from the weather with their bodies. And so clustered around the stranger from the north, they worked their way toward Gahon.